Typical! 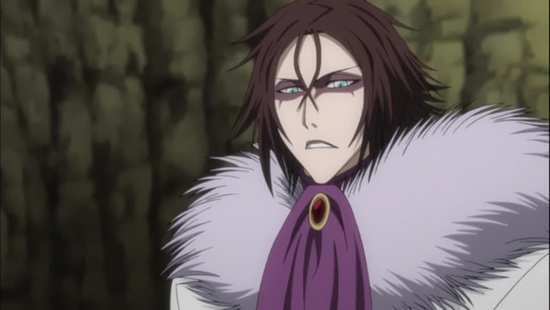 We’re right in the middle of a major battle sequence, action all over the place, as Aizen and his Arrancars put into effect their plans to take over the worlds, bring about the downfall of the Soul Reapers and the Soul Society, and then Bleach goes and throws in another lot of filler. Talk about delaying enjoyment! But this isn’t a quick stretch of a few episodes; it isn’t just the odd bit of random nonsense here, a swimsuit episode there. 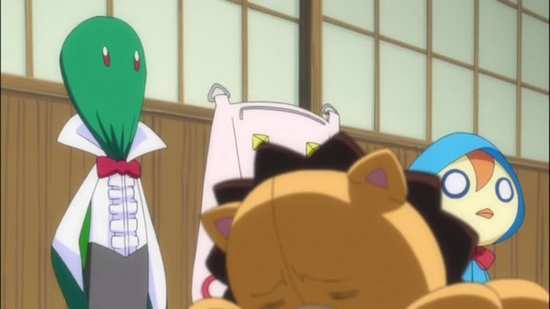 Zanpakuto: The Alternate Tale is a 36 episode stretch, a whole new story arc which comprised (for reasons elaborated in the previous Bleach review) the whole of season 13. If you’re going to devote over half a year of runtime to filler, then it had better be worth it. But from many accounts, Zanpakuto: The Alternate Tale is better than the canon Bleach that we have been watching up to now. You’d think that a teenager’s life would be complicated enough if he could speak to ghosts. But that was only the beginning for Ichigo Kurosaki. When he literally bumped into a Shinigami named Rukia Kuchiki, he was introduced to a whole new world. The Shinigami’s mission is to guide forlorn spirits known as Wholes to the Soul Society, and protect them and the living from Hollows, perverted spirits that have become monsters that prey on other souls, living or dead. 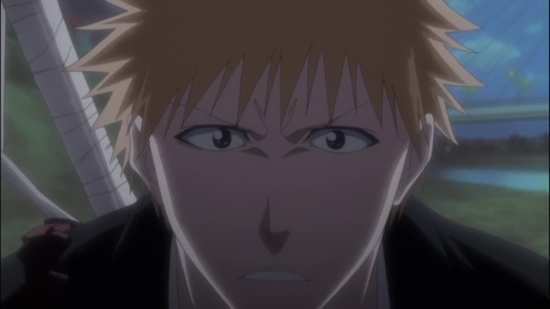 They are not supposed to let the living know about this supernatural world, but not only does Ichigo see Rukia, circumstances force her to give him her powers, and train him to be a Shinigami while she regains her strength. Through their adventures, Ichigo learns that his classmates Orihime and Chad are similarly bestowed with spiritual abilities. He also meets Uryu Ishida, the last Quincy, heir to a tribe of spiritual warriors from the human world that once sought out and destroyed Hollows, before the Shinigami in turn eradicated them for disrupting the balance. 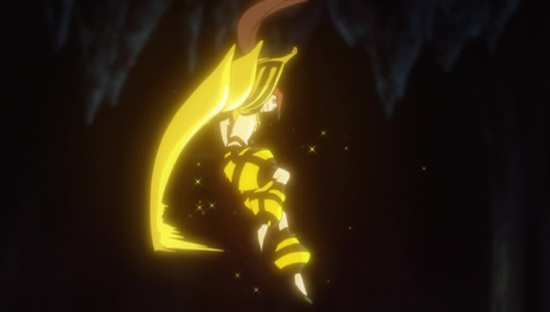 If you’ve been watching Bleach up till now, you’ll now that the Zanpakuto refer to the Soul Reapers’ swords. No ordinary blades, these are almost sentient entities which exhibit great power, unleashing special moves on their targets with extreme prejudice, not least of which are the Bankai power ups. 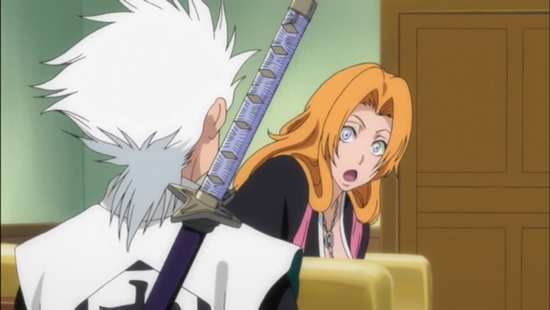 To master one’s Zanpakuto, a Soul Reaper has to come to terms with the sword’s spirit, learn its name and in the process form a partnership with the sword. At least that’s the way that it has been up to now. In Zanpakuto: The Alternate Tale, all of that tradition is turned on its head when an enigmatic figure named Muramasa decides to free the swords from slavery, separate the sword spirits from the Soul Reapers. Now all of a sudden, the sword spirits have become manifest, able to wield their special powers by themselves, and have begun taking over the Soul Society. The Soul Reapers, suddenly armed with plain old steel swords are left on the back foot, vulnerable to attack. 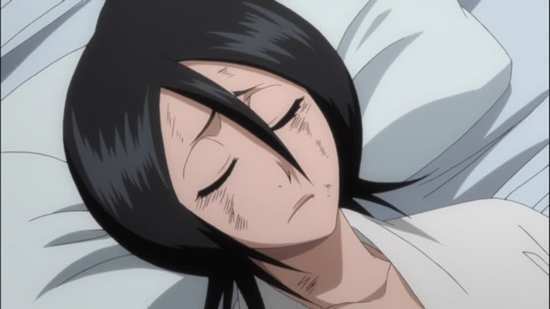 Rukia just about manages to make it back to the Living World, pursued by her own sword spirit Sodenoshirayuki, but in truth she’s just bait to lure Ichigo back to the Soul Society. Soon Ichigo has to face his own sword, Zangetsu in battle. The first twelve episodes of this arc are presented across two discs by Kazé Entertainment, distributed for them in the UK by Manga Entertainment. Bleach has now gone widescreen. It’s now in the modern TV friendly aspect ratio of 1.78:1 anamorphic. And that’s the end of the good news. The last few releases of Bleach via Madman Entertainment had native PAL transfers, 25 frames per second with 4% PAL speedup, but of high resolution and free of any standards conversion artefacts. Not anymore. With Kazé’s release of Bleach, we’re back to the bad old days of NTSC-PAL standards conversions. It’s worse in my opinion, as my limited experience of Kazé output has shown that while their Blu-rays are sweet, and their PAL DVDs are acceptable, their NTSC-PAL conversions leave a lot to be desired, and are the least impressive of any distributor that I have reviewed. Incidentally Bleach’s 1.78:1 anamorphic image is now one of those few NTSC-PAL conversions that convert by simply repeating every 24th frame to create the 25th PAL frame. That explains the rhythmic judder in pans and scrolls, exactly once a second. On the bright side this means that the ghosting and blended frames that afflicted the earlier Kazé Bleach releases is gone, but the judder is annoying, and the image quality still looks of such low resolution that you’d still think it was a standards conversion. There are some positives to be had in the audio department. The discs now have the surround flag activated, so you now have DD 2.0 Surround English and Japanese audio. It sounds exactly the same in practice however. More significant is that Kazé provide translated subtitles for the Japanese audio, and a signs only English track for the English audio. This season sees some new theme songs debuted for the series, but unlike the Madman discs, the songs don’t have subtitle translations for the lyrics. These being Kazé discs, you can’t change audio or subtitles on the fly, so Hard of Hearing English dub fans are out of luck. You’ve probably already heard me whinge about Kazé discs and UPOPs, so consider it whinged again. These discs are locked up tighter than Fort Knox, and I had to guess at the run time for the episodes. Kazé don’t put Bleach trailers on their discs, and neither do they offer a line art gallery. All you get are karaoke versions of the credit sequences, minus the credit text, but with a romanji (Japanese in English script) burnt in subtitle track that insists that you sing along. Incidentally this collection has two really good themes, with Scandal’s Shojo S, and the T-Rex-esque Mad Surfer by Kenichi Asai. Disc 1 autoplays with trailers for the Bleach Hellverse movie and Penguindrum, while Disc 2 autoplays trailers for Black Lagoon, and Nura Rise of the Yokai Clan. Most episodes end with the Illustrated Guide to Soul Reapers Golden comedy sketches. It happened again. Bleach ditched the main storyline and began a filler arc, and once more my interest perked up. It’s a sad state of affairs when the main storyline from the manga creator is less fulfilling than something the anime creators cook up. Of course there is the proviso that nothing in this arc is canon, that a whopping great reset button will be applied at the end of the story, and that we’ll eventually pick up where we left off with the Arrancars as if nothing had happened. Actually, with a title like Zanpakuto: The Alternate Tale, the implication is that this is really just a flight of fancy, what-if story anyway. That might actually be better in a way, as they’ll be able to do things with the characters that they might otherwise have not, put them through the emotional wringer, have them suffer irreversible loss and personal changes, safe in the knowledge that it’s an ‘alternate tale’. Indeed in this collection of episodes it already looks as if Rukia’s character will face challenges that would be hard to remedy even with a handy reset button. This filler arc expands on one of the interesting aspects that cropped up early in the series. Back when Ichigo was still receiving his on-the-job training as a substitute Soul Reaper, he had to master his sword skills, bring out the power of his Zanpakuto. In Bleach that meant an internal conflict with the Zanpakuto’s spirit, actually engaging it in a battle to master it and achieve Bankai, accomplished once the wielder learned its name. 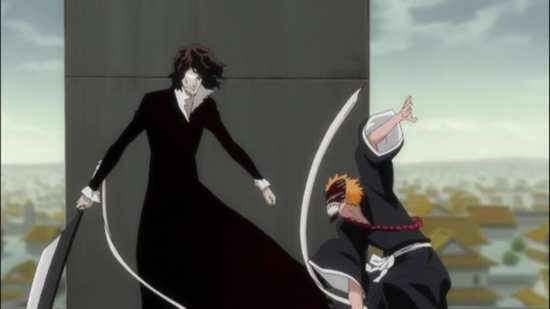 For Ichigo, his Zanpakuto’s name was Zangetsu, and Zangetsu was personified by a tall man in black wearing shades, brought to life in an inner world represented by off kilter skyscrapers in a blue sky. 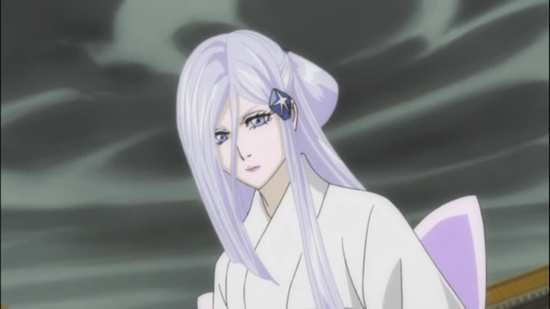 The implication was that all of the Soul Reapers had to go through the same internal process to master their swords. Through the series, we’ve learned the name of these various swords, Byakuya’s Senbonzakura, Rukia’s Sodenoshirayuki, Renji’s Zabimaru, Hitsugaya’s Hyorinmaru, Rangiku’s Haineko, and more, but we never saw the inner spirits of these swords as we did with Ichigo. That changes in this arc, when a mysterious figure appears, Muramasa, with a plan to change the balance of power in the Soul Society. This he does by ‘freeing’ all of the Zanpakuto from the ‘control’ of their wielders, and actually making the spirits manifest in the real world. The Zanpakuto then turn on their erstwhile masters in a bid to advance Muramasa’s plans to take over. So now we get to see what all of these sword spirits look like, and they turns out to have a range of personalities, and varying degrees of obnoxiousness. 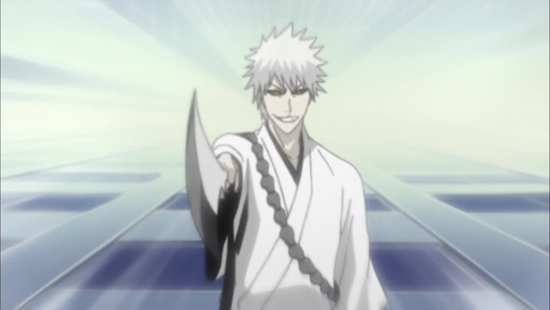 They also have the ability to manifest the Zanpakuto powers, as well as Bankai, leaving the Soul Reapers with lifeless katana with which to defend themselves, although in something of a continuity head-scratcher, the Soul Reapers don’t all recognise their Zanpakuto in the same way that Ichigo knows Zangetsu. 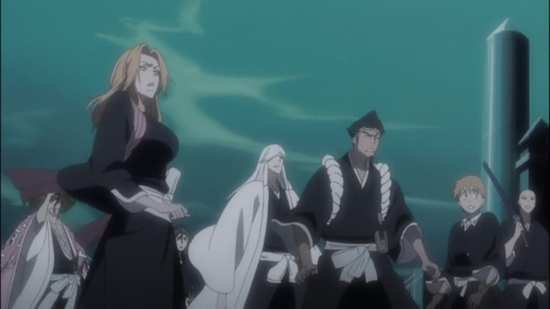 What follows is a series of action set pieces as the Soul Reapers somehow try and regain control of their Zanpakuto, each focusing on a different character and a different sword, all to varying degrees of success. This all happens while in the background Muramasa continues to advance his, as yet veiled plans. 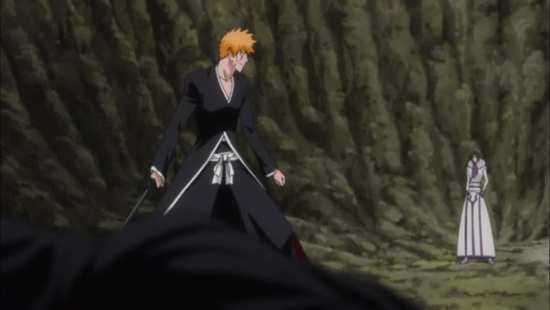 A couple of developments livens this up beyond simple battle sequences, with one being when Muramasa thinks that he has Ichigo defeated by Zangetsu, and Ichigo’s Hollow side manifests, turning the tables on the battle. Suddenly Muramasa sees that he has a power yet to master, and he makes a couple of last minute adjustments to his plan that will probably play out in the next collection of episodes. The second major twist occurs near the end of the collection when one of the Soul Reapers defects to Muramasa’s side, leaving the others having to handle the unexpected betrayal. Bleach is still the somewhat stilted shonen action series that it always is. It’s just that somehow the filler makes it more palatable, not least because there is a visible goal in sight, that there will be an ending to the story in another twenty episodes or so. Also it’s a well defined and enjoyable story, not needing extended padding with flashbacks and recaps and the like, a lot less in the way of standing around and commenting on special moves. 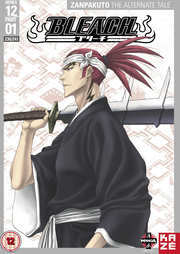 And when it comes to Bleach filler, this Alternate Zanpakuto Tale is pretty good stuff.